Gerry Conway & Al Milgrom Firestorm Trade Paperback in 2011? 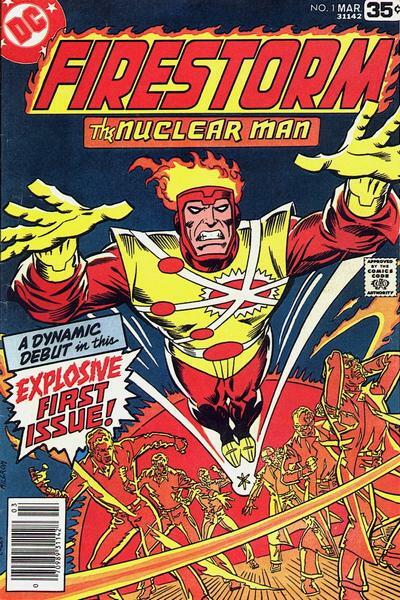 There is a listing currently on Amazon.com for a trade paperback entitled, Firestorm: The Nuclear Man by Gerry Conway and Al Milgrom. It’s supposedly scheduled to ship on July 26, 2011. If this listing is legit, this will be the first time the early adventures of Firestorm have been collected! There isn’t a lot of information, but the listing suggests the volume will be 144 pages, which translates to six issues. I suppose that could represent the five published issues from Firestorm vol. I, plus the sixth unpublished issue. They’ve assigned an ISBN number, which seems to add some credibility to the entry. The last issue of Brightest Day should ship sometime in May or June. If DC chooses to launch a new Firestorm ongoing series, June or July would be the ideal time. Releasing a collection of the first series to coincide with a new ongoing would seem logical. My thanks to Steve K. for finding this information and alerting folks via Twitter. You can also find Steve at his blog, The Iceberg Lounge. Posted in: Al Milgrom, Comic books, Firestorm #01: Original (Ronnie/Martin), Firestorm comic vol. I, Gerry Conway. Wow. This would be awesome. I’d definitely pick that up! This is great – my original copies of the issues I have, have done some hard time so will be good to fill in the gaps and get the old faithful’s in a crisp new edition.